Abe Cohen Plumbing and Heating Inc. is who you need to call for commercial faucets, pre-rinse faucets, taps, and valves in Ahuntsic, Baie D'Urfe, Beaconsfield, Bord du Lac, Cote Saint-Luc, Cote St-Luc, Dollard des Ormeaux, Dorval, Downtown, Hampstead, Ile Bizard, Lachine, Lacey Green, Lakeshore, LaSalle, Laval, Mile End, Montreal West, NDG, Nouveaux St. Laurent, Nun's Island, Old Montreal, Outremont, Pierrefonds, Plateau, Pointe Claire, Pointe St. Charles, Roxboro, Ste-Genevieve, St. Henri, Town of Mount Royal, Verdun, Ville St. Laurent, West Island, Westpark, Westmount. Faucets are used day in and day out, and sooner or later, even the best ones require maintenance or replacement. Because of frequent use, the internal parts of a faucet deteriorate and show signs of wear. Unregulated or excessive water pressure also contribute to wear and deterioration. Some faucets can be repaired by replacing the internal parts. In some cases, the cost of replacing the faucet may be similar to the cost of repairing it. New faucets are available that use less water and offer new features. Pre-rinse faucets make it quick and easy to remove food from dishes (before loading into a dishwasher), reduce handling time and facilitate ergonomic work flow. 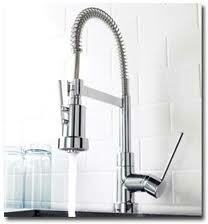 We install both standard and water-saving electronic/automatic faucets (and flush valves for toilets and urinals). Automatic (electronic) flush valves and faucets use infrared or proximity detection systems to activate flush or flow and are available either battery operated or hard-wired. A shut-off valve near any fixture (sink, toilet, bath, shower, washer, dishwasher) allows you to stop the flow of water to only that fixture when it has a problem or needs servicing. For example, an overflowing faucet or toilet can be stopped quickly at its shut-off valve. 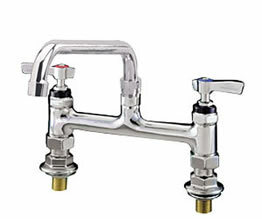 Many older buildings are not equipped with shut-off valves for individual fixtures. While we have the water off, we can add shut-off valves to make your life easier in the future. At Abe Cohen Plumbing and Heating Inc., we are a three-generation family business with more than 50 years in the plumbing trade. We consider our customers to be family and friends in a long-term relationship with us. We have the experience, expertise, tools, and equipment to install, repair, or replace commercial faucets, taps, and valves in the greater Montreal area. We are respectful, clean, and professional. We are certified and active members of CMMTQ (Corporation des maîtres mécaniciens en tuyauterie du Québec), ACQ (Association de la Construction du Québec), and certified partners of Gaz Métro for natural gas piping and installations.